Summary: Stargirl is a girl with a “loud” personality. At first she captivates the students of Mica High, but then they turn on her, shunning her now for everything that they previously admired. Leo, her boyfriend suggests she become “normal.” But how can she do that and how can Leo suggest she give up who she is and better yet, why should she. Tough decisions face both Leo and Stargirl in this book that presents the challenges facing most teens in a way that is both compelling and powerful. Literary elements at work in the story: By having Leo be the narrator, Spinelli gives this powerful story a perspective not often found in books for teens. Torn between his love for Stargirl and acceptance by his peers, the reader gets a clear view of the pressures he and many teens face. How does the perspective on gender/race/culture/economics/ability make a difference to the story: Stargirl is an accurate and compelling look at life in a modern high school. It shows how fleeting and cruel fame can be and how hard it is to be the friend of the fallen. Readers will love and understand Stargirl, and will empathize with Leo’s plight. In this passage Jesus could well have been speaking directly to Leo. What a hard decision he and many teens must make. Every day they have to decide who they will follow and how they will act towards their fellow classmates. Will they gain the acceptance of the crowd or forfeit their souls? Will they exchange what they know to be right for popularity? It is only through understanding that they will make the right decision and to a large extent we, as adults, are the ones to help them see and understand the importance of this passage. 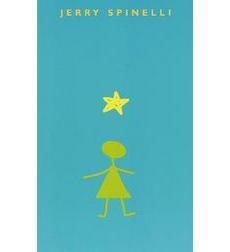 Have you ever know anyone who looks at life from a different perspective like Stargirl? How did you relate to them? Have you ever been in Leo’s position where you had to decide between a friend or your peers? If you could ask Leo a question what would it be? What does this Bible passage say about Stargirl and Leo? This review was prepared by regular contributor Janet Lloyd. Stargirl by Storypath is licensed under a Creative Commons Attribution-NonCommercial 4.0 International License.